Hand-crafted from the horns of water buffalo. Each of these spoons is a unique piece of functional art. 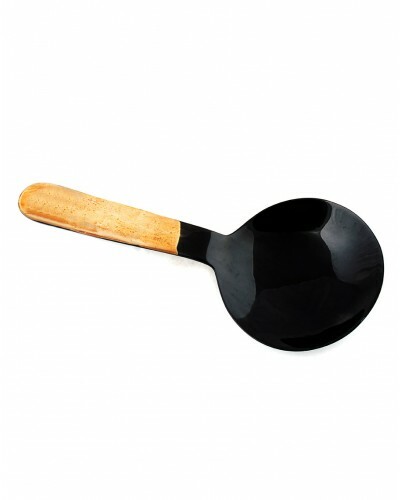 Buffalo horn spoon is a Kolkata West Bengal based Swastik International Kitchenware product. It is handcrafted in two colors black and brown .Its buffalo horn material is durable and long lasting. Its unique material and elegant look make it more in demand. It is available at reasonable rates which anyone can afford.